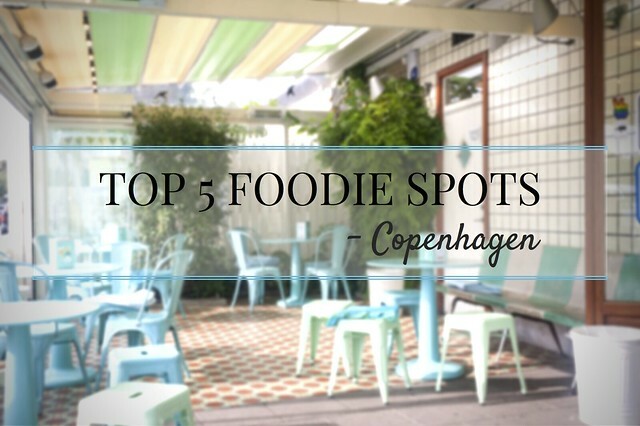 Here's my guide to a few cool foodie things to do in Copenhagen. 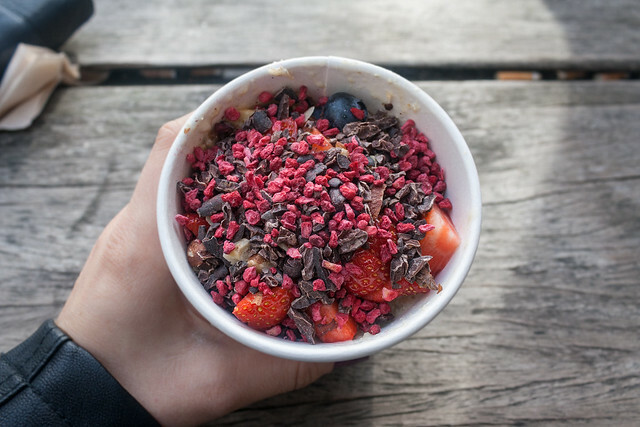 The food I ate while I was there was incredible so I decided it deserved it's own post! 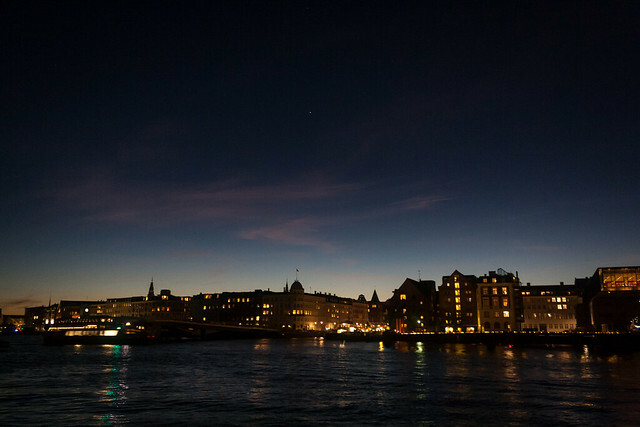 Asta took me here on my very first night and I fell irrevocably in love with the place. 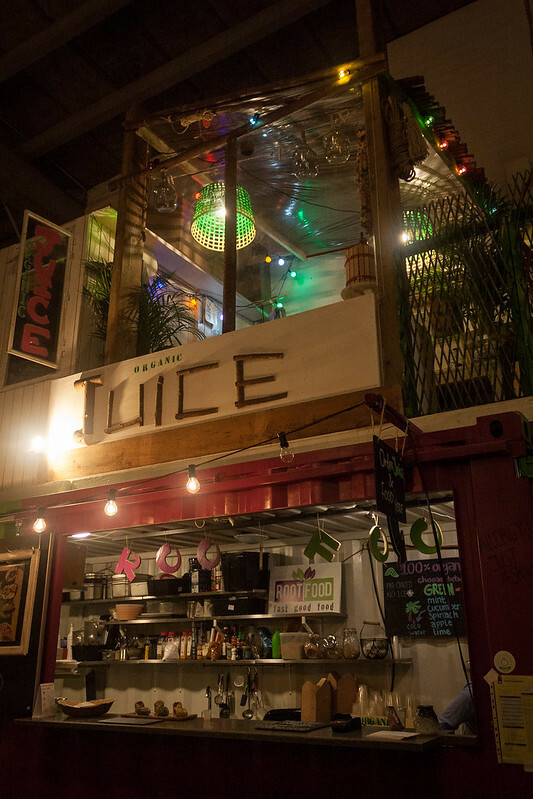 It's a giant warehouse-turned-food-market with an industrial yet cozy feeling and a killer view of the city. 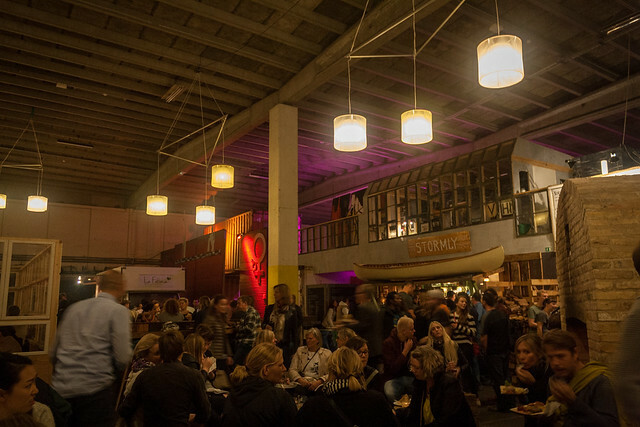 You could definitely spend hours filling your tummies with to-die-for food from the stalls or sip the night away on drinks from one of the various independent bars (we did!). My favourite dish I tried was the boar stew from a stall called "The Spoon Company". 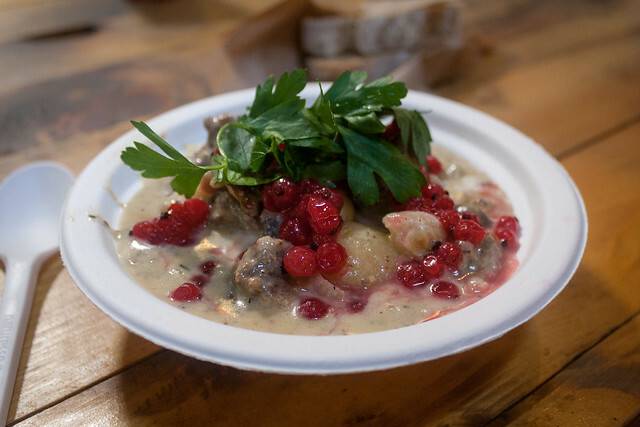 Tender boar, potatoes and mushrooms in a beautifully creamy sauce paired with red currants and coriander. The currants worked so well with the rich sauce, lightening the whole dish and giving it a unique kick. I must admit, we returned to Papirøen the following day to taste the boar stew again and it was just as good the second time! Also try the cheesecake from "Cheesecaken" - it's like nothing you've ever tried before. 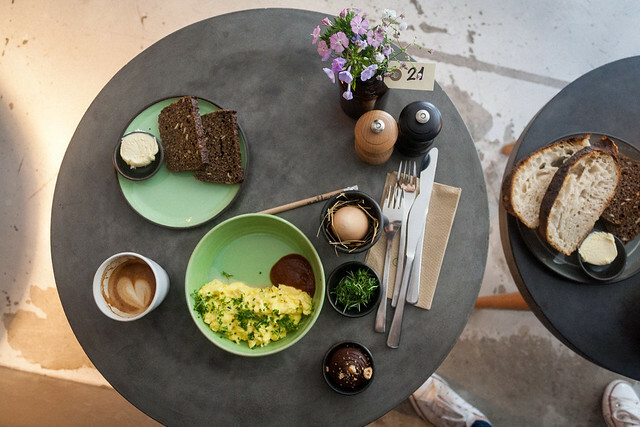 As per tradition, I did a good search of the internet beforehand to find the best coffee spots in Copenhagen. 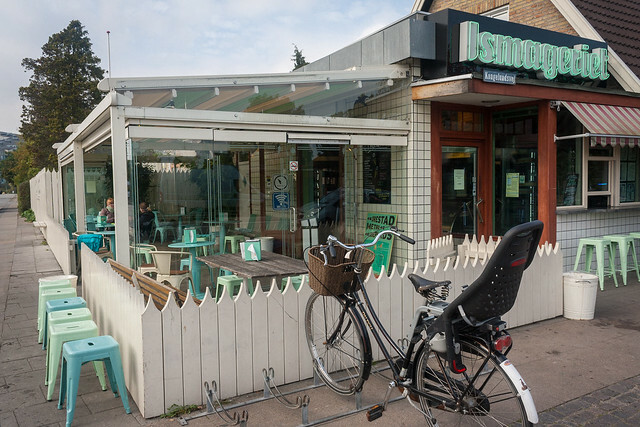 The coffee scene actually wasn't quite as booming as I thought, but the few gems that are around are definitely worth visiting. 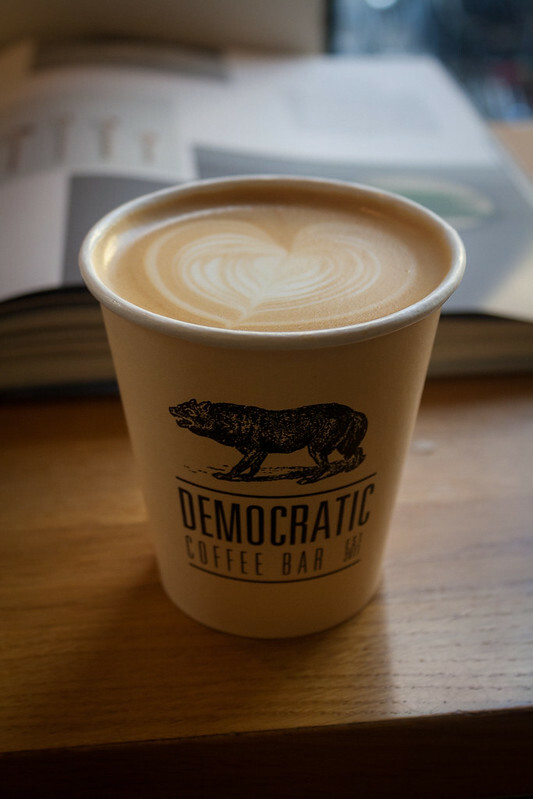 Democratic Coffee is located on Krystalgade in the centre of Copenhagen, just a short walk from the main square. It boats a long bar running the length of the entire café filled with all sorts of freshly baked sweet treats and snacks. The coffee was delicious (although make sure you ask for a flat white if you're used to a London-sized latte), they had a whole wall of hand-picked books to keep your mind busy while sipping away on your coffee and they had some of the coolest takeaway cups I have ever seen. What more could you want?! 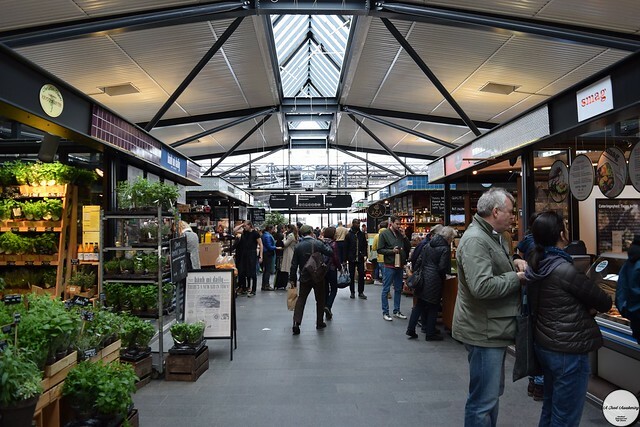 Torvehallerne is another huge food market situated in central Copenhagen. You can find over 60 stands selling everything from fresh foods like fish, meats, cheeses, fruit, vegetables etc., as well as ready-to-eat meals, gourmet chocolates, exotic spices... I think it's safe to say even the fussiest of eaters could find something they like there. My favourite thing from this market was the Danish specialty Fiskefrikadeller. 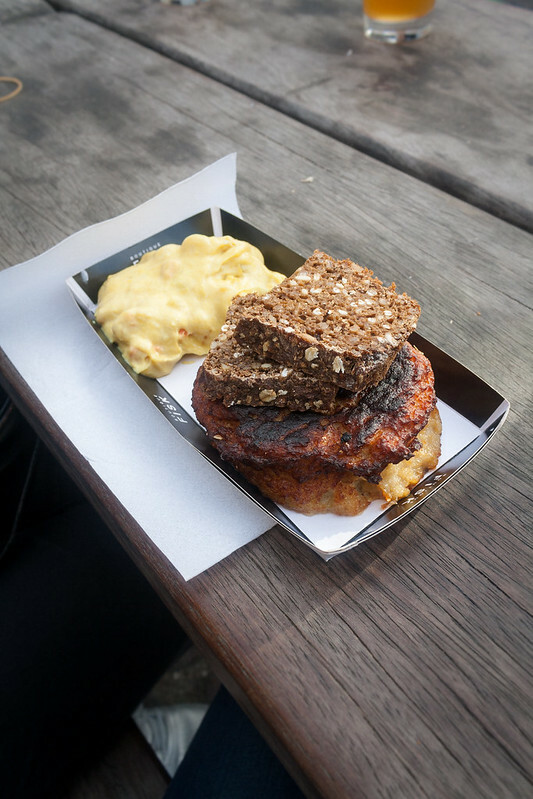 It's a sort of crispy on the outside, soft on the inside fishcake served with creamy remoulade and delicious dark rye bread - another thing the Danes do impeccably well. 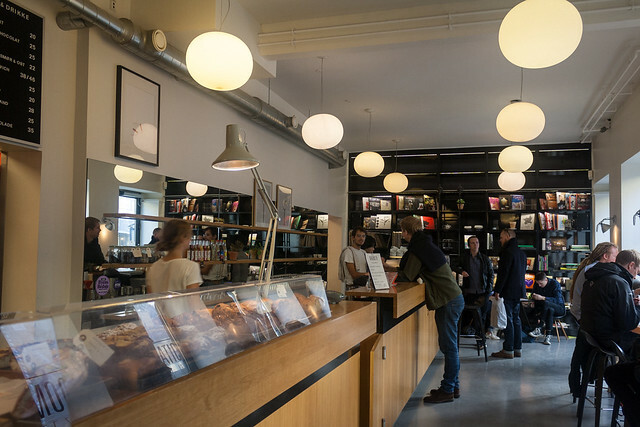 Torvehallerne also has a fantastic coffee stall called "The Coffee Collective" (there are a few of them around Copenhagen), if you're in need for a caffeine hit. 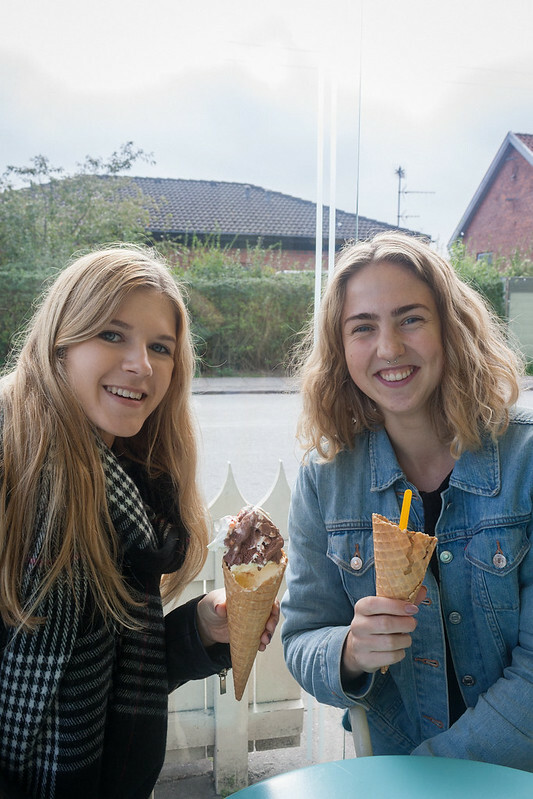 A charming ice cream shop sporting pastel decor, candy stripes and a ridiculous number of ice cream flavours is definitely a recipe for success. 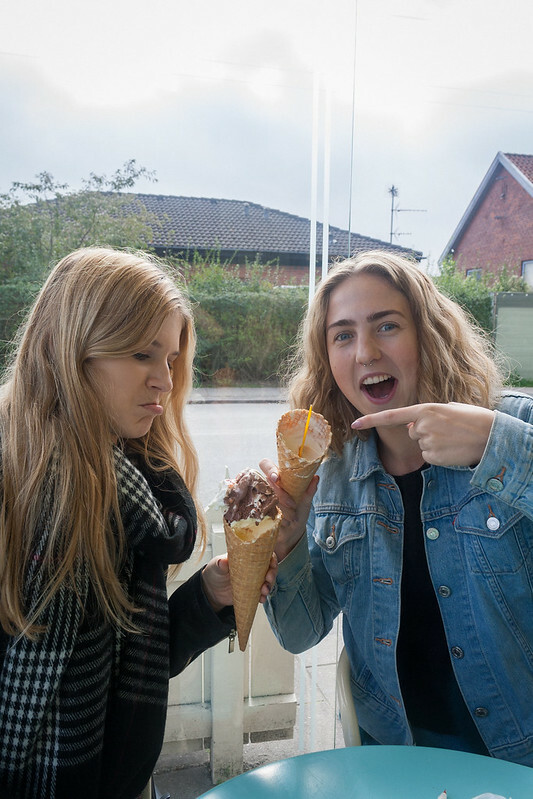 It's a little bit out of the way (around 20 minutes from the centre of the city), but well worth the trek if you're an ice cream fiend like I am! 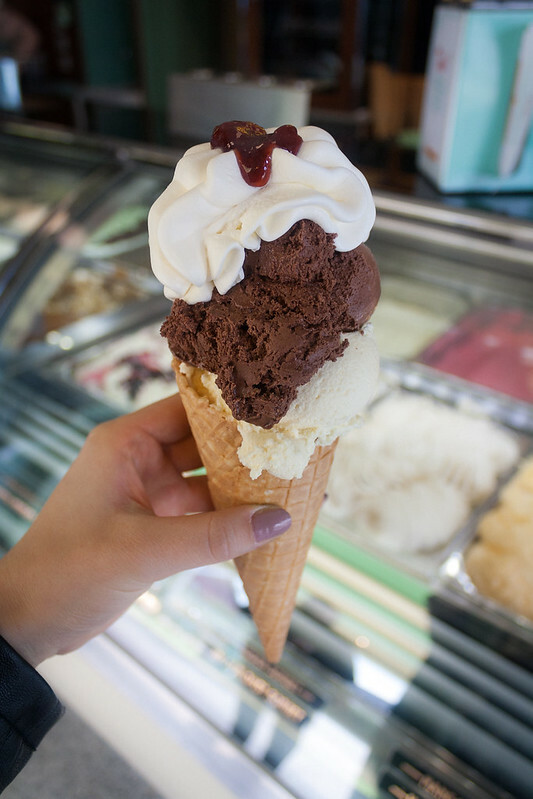 Flavours vary from the standard chocolate, vanilla, pistachio to more inventive ones such as Baileys and White Chocolate/Liquorice/Lemon. 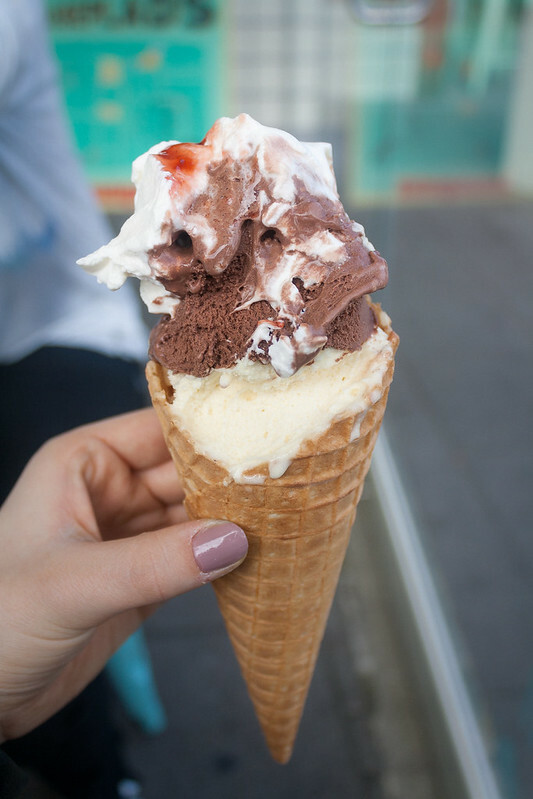 Served in a crispy waffle cone with a generous dollop of cream and a splash of jam on top, these monsters might kill your diet but I promise you it'll be worth it. This industrial-chic hangout oozes everything you want in a cozy brunch spot. 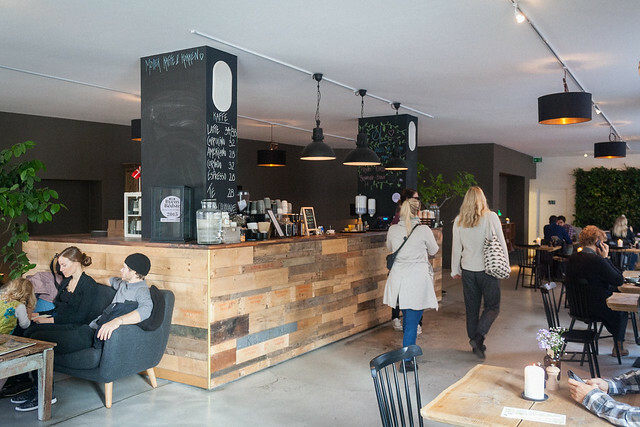 Despite the concrete floors, Møller boasts a bunch of comfy sofas and seats to snuggle into while enjoying a brilliant cup of coffee or fresh juice. 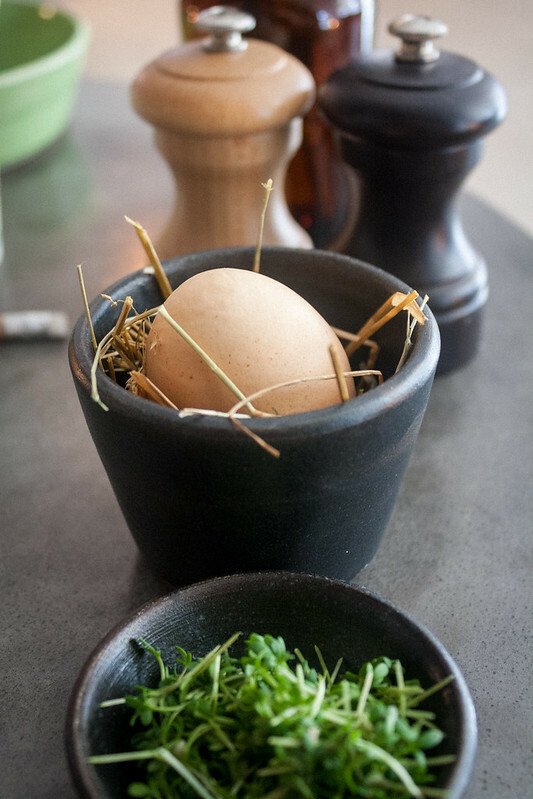 Their "build-your-own-brunch" concept works surprisingly well, making the ordering process that little bit more fun (and the wait for food that little bit harder). Until then, I guess these photos will have to suffice.